Despite being played in concurrent seasons, the A-League and Major League Soccer share many similarities, and as a result have many things that they can learn from each other. With the MLS being having been established in 1993 and commencing in 1996, it’s to be expected they are further developed than the A-League, a competition that has only been run since August of 2005. Since formation the MLS has gone from ten to nineteen teams, while the A-League have expanded from eight to ten. Neither league has done this without their problems, with the leagues having lost two and three teams respectively. This is where the way to success through expansion becomes cloudy, something that A-League new boys the Western Sydney Wanders should in particular take note of. The A-League chose on one hand to expand rapidly, with both the North Queensland Fury and Gold Coast United being offered licenses in the 2009-10 season and leaving competition three years later. Research has shown that North Queensland has one of the highest rates in Australia for junior participants in football, while the Gold Coast were backed by billionaire businessman Clive Palmer, giving both sides more than enough ammunition to succeed. With a record crowd of 8,897 being drawn for their first ever league game against Sydney FC, the Fury were destined to fail as attendances were never going to supplement costs. The Gold Coast, while having more on-field success than the Fury were not without their own problems, with fans and officials outraged when Clive Palmer stated he would cap crowds at five thousand partway through the 2010-11 season. The move led to an exodus of fans, with their lowest attendance coming against the Fury in December 2010, when they drew just 1,714 in a disappointing 1-0 loss. When you compare these crowd numbers to expansion teams in the MLS who have joined in the period since the A-League began, the numbers don’t flatter the Australian competition. The eight MLS expansion franchises since 2006 drew average crowds of 22,933 in their first season, an average that only the Melbourne Victory have been able to better three times in their history. It’s easy to sit back and say the A-League shouldn’t have gone to Townsville or the Gold Coast, and despite my involvement with the North Queensland Fury in their first season, I agree. If the people of Townsville had shown their support for the team, it would have been a solution to a few of the problems, even though it may not have been enough to save the club. So where have MLS gone right in their expansion? One thing I admire MLS for is their research before launching a new team, with most franchises placed where football has a history, in essence breaking down the process of working their way into a new market, something that many teams across many codes will tell you is a tough task. Let’s use Toronto FC as the example. Toronto has long been the home of international football in Canada, with the Rogers Centre playing host to numerous international games and friendlies with AS Roma and Celtic drawing over 50 000 fans in 2004. With such a rich history, the move to establish TFC in 2007 was one that made perfect sense. 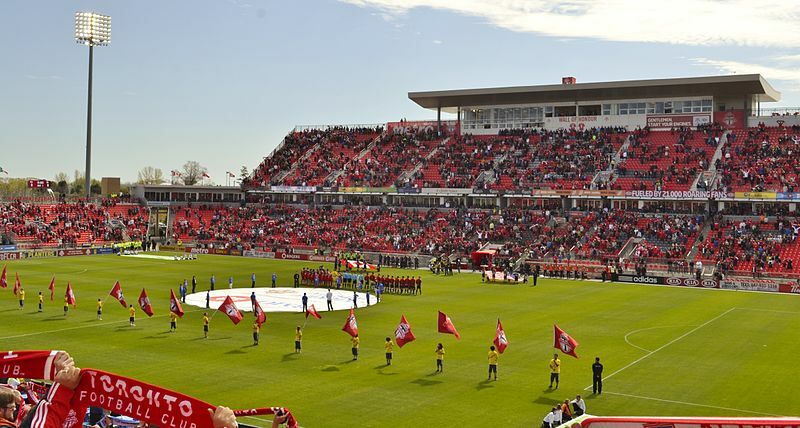 Playing out of BMO field with a capacity of 21,859 the Reds have not had the most on field success, but have found themselves making a profit every season and winning the Amway Canadian Championship on four occasions. The Reds also have a knack for big name signings, with current captain Torsten Frings having represented Germany 79 times. With the exception of Robbie Fowler, Dwight Yorke and Romário, there have been few names to draw fans through the gates. With less than three months till their inaugural season the Western Sydney Wanderers need to lure a big name. Fabio Grosso has been linked to the league in the last month, with the 2006 World Cup winner stating he wants to finish his career here, not for the money but for the experience. Regardless of if Grosso is the ideal big naming signing, it must be acknowledged he would have the ability to pull patrons through the door wherever he played and could create a domino effect for other big names. Despite being a well recognised sport in Australia, football still seems to be lingering in the second tier when it comes to public opinion, something that is going to need to change if the A-League is to survive long-term. Perhaps the ideal situation is for Ben Buckley to call his MLS counterpart Don Garber so the two leagues can work together, including a pre/post season tournament between the two leagues, which would not only enable officials to swap ideas, but also to compare the standards of the leagues.